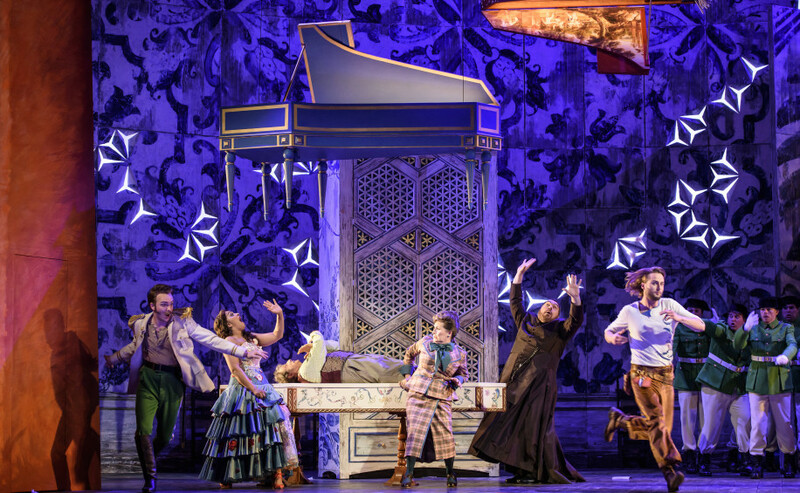 As Annabel Arden’s production of Rossini’s Il barbiere di Siviglia is broadcast live from Festival 2016 in cinemas around the country and online on Tuesday 21 June, Ian Julier from our music library tells us a little about the contribution his team has made to the opera’s first appearance at Glyndebourne Festival since 1982. 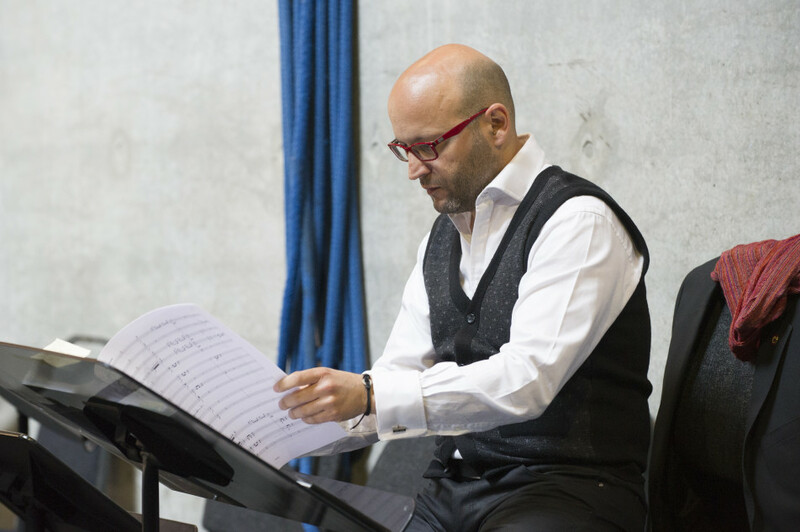 Our first contact with Enrique Mazzola, the conductor of our new production of Rossini’s great comic opera, was over a year ago now and seems a distant, but satisfyingly fulfilled starting point on our musical journey towards this run at Festival 2016. After our conductor’s preferred critical edition for the musical preparation was confirmed in spring 2015, the contract was agreed with the publisher for the hire and performance. Discussions with the conductor and director, Annabel Arden, followed to establish cuts to suit the production and any transpositions of keys preferred by the singers for specific arias. The library’s task is then to notate all these aspects into the music for singers, chorus, music staff and production teams so their preparation can begin well before rehearsals. The aim is to send out vocal scores to singers at the beginning of the year. A similar process is involved for annotating all the orchestral parts, but considerably amplified by incorporating the conductor’s preferences for a wealth of detail regarding bowings, phrasing, articulation and dynamics. Further detailed preparation is involved for the soloists, particularly in bel canto operas, where elaborate ornamentation of vocal lines plays an extensive role in the character of the music. Although computerised music notation can be used for some of the repetitive alterations and additions, much of the notation is still done by hand due to the uniqueness of detail specific to individual musical scores and orchestra parts, and a whole evening’s opera presents us with a meticulous and time-consuming project. One always feels a special glow when the music is rehearsed with the orchestra alone for the first time, and then put together with the singers and production on stage. We’re just one of the many cogs in the production wheel that has to synchronise with all the other creative teams at Glyndebourne before the full glory of a new production is revealed at a successful premiere. 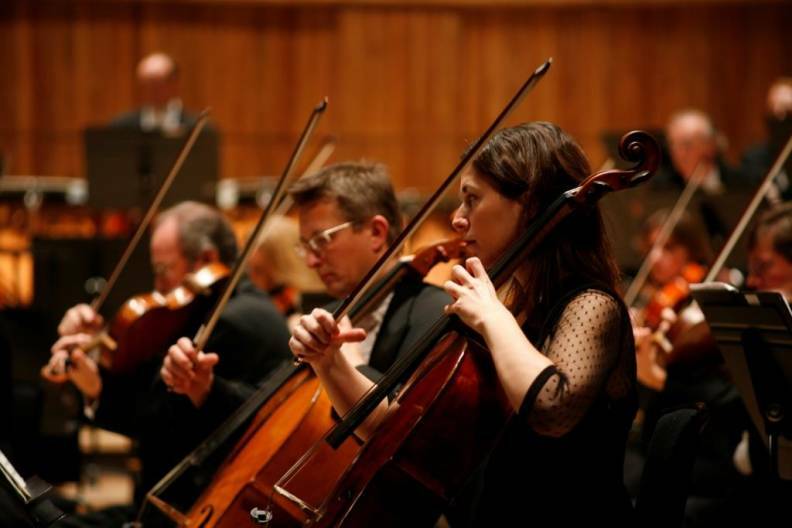 Glyndebourne’s music preparation is funded by our New Generation Programme. Please help us to continue to deliver ‘Not the best we can do but the best that can be done anywhere’ by offering your support today. Thank you.